Pete Wentz and Gabe Saporta arrive at the 2011 MTV VMAs on Sunday (August 28) at Nokia Theatre L.A. Live in Los Angeles. 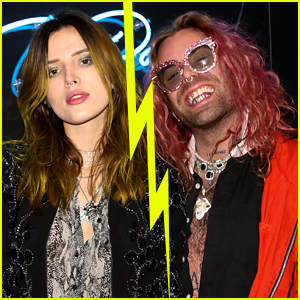 “Getting dolled up for my date with @GabrielSaporta #1nite,” the 32-year-old singer tweeted before the show. Gabe performed during the VMA pre-show with his band, Cobra Starship, while Selena Gomez took care of hosting duties. “We’ve got a wardrobe emergency backstage at the VMAS! What socks do we wear! ?” Gabe tweeted. 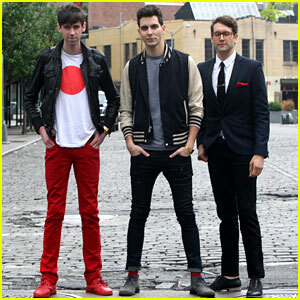 Cobra Starship & Sabi: 'You Make Me Feel...' Video! The video features snapshots of a bearded Robin Williams and his daughter Zelda – both are old family friends of Cobra keytarist Victoria Asher. Other bandmates include Ryland Blackinton, Nate Novarro, and Alex Suarez. Also look out for quick shots of singer Wynter Gordon, Elle creative director Joe Zee, DJ duo Andrew Andrew, and JustJared.com‘s own Jared Eng. 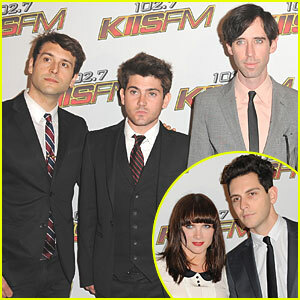 Gabe Saporta & Zooey Deschanel: 'Self' Magazine Celebration! Gabe Saporta and Zooey Deschanel celebrate the launch of Self magazine’s July 2011 issue at the Ganesvoort Park Avenue on Wednesday (June 15) in New York City. The Cobra Starship frontman and actress/singer, both 31 years old, are featured in the mag’s music issue. Joining Gabe at the celebration was his girlfriend, fashion designer Erin Fetherston. Gabe and Erin have been dating since late last year. Gabe Saporta: Cobra Starship Video Shoot! Gabe Saporta poses with his Cobra Starship bandmates Alex Suarez and Ryland Blackinton on the set of an MTV video shoot on Monday (May 23) in New York City. Later in the week, the 31-year-old singer tweeted some wisdom. “If you don’t have 2 or more people in your head arguing at all times, you’re probably not connecting to your true self,” Gabe said. FYI: Gabe is wearing a Shipley & Halmos varsity jacket. Alex is wearing shoes by Bespoken. Cobra Starship frontman Gabe Saporta enjoys some quality time with his girlfriend, fashion designer Erin Fetherston, on the Upper East Side of New York City on Sunday (May 22). The happy couple attended a brunch and silent auction at Le Cirque restaurant to raise money to build a library in Tanzania on behalf of the Olevolos Project. The event raised $65,000! 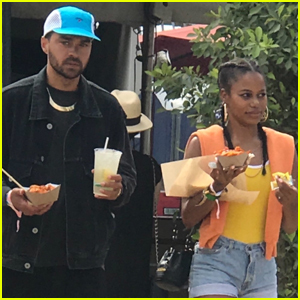 Other pictures include Gabe with the rest of his bandmates – Ryland Blackinton, Victoria Asher, Nate Novarro, and Alex Suarez – during 102.7 KIIS FM’s Wango Tango 2011 last weekend at L.A.’s Staples Center on Saturday (May 14). Later this week in New York City, Cobra and Sabi will be shooting the video for their latest super catchy single, “You Make Me Feel…” Can’t wait! Gabe Saporta and his Cobra Starship bandmates arrive at 102.7 KIIS FM’s Wango Tango 2011, held at L.A.’s Staples Center on Saturday (May 14). The group caught up with JustJared.com before hitting the stage, where they performed their new song, “You Make Me Feel…,” with Sabi!